Most punters readily associate Paddy Power with their banter and quirkiness, however there’s a serious side too with this leading operator marketing themselves extremely well to become the leading bookmaker in Ireland and one of the foremost operators in the UK. There’s no arguing with the fact that Paddy Power are very much at the pinnacle of the industry with an excellent welcome bonus available to all new customers and regular ongoing promotions for existing punters. Sign-up with Paddy Power and you can land yourself £40 worth of Free Bet Bonuses. Paddy Power are at the top of their game when it comes to dishing out the promotions, this leading operator giving away £40 in bonuses to anyone who decides to open a new account. 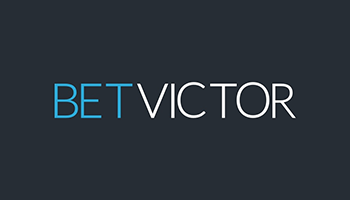 Simply register today using the links on this page, deposit funds, bet an initial £10 and you will receive bonus funds of £40 – these taking the form of £30 in Sports Bets and a £10 Games Bonus which can be used on ‘Ted Slot’ game. As you can clearly see, Paddy Power’s choice of sports covers a wide choice, however numerous smaller lesser-known sports are also covered and as such, this operator will almost certainly appeal to everyone. Paddy Power’s in-play offering used to fall some way behind their rivals. Not any more! The in-play section has been upgraded and improved with much easier navigation and more readily available information. Live streaming is now offered with an impressive depth of market coverage on each event. The recent revamp has improved this offering no end and they now compete favourably with the best that the industry has to offer. Paddy Power offer everything that you could possibly wish for from a leading bookmaker, and more besides. A tempting welcome bonus for all new customers isn’t the only deal on the table with ongoing regular promotions available to existing customers. Most sections of the website have received upgrades recently and this has simplified things considerably, perhaps too much in some areas. This is of minor concern when lined-up against the great odds on offer and depth of market coverage.